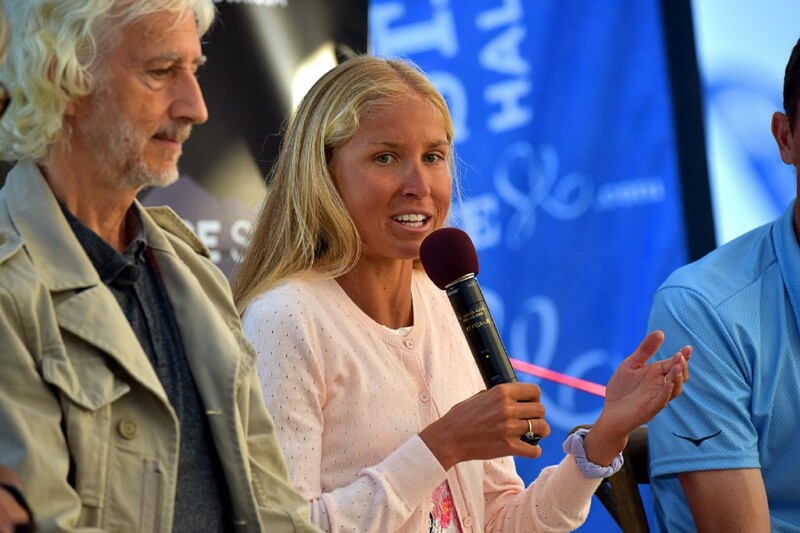 SAN LUIS OBISPO, Calif. — (August 14, 2017) — Race SLO, California Central Coast’s leading endurance sports event producer, has announced its newest ambassador: U.S. distance running star Jordan Hasay, who recently finished third at the storied Boston Marathon and also set a U.S. women’s marathon debut record with her 2 hour, 23 minute clocking. “I am absolutely honored to be a Race SLO Ambassador. This community has helped propel and inspire me to the top level of my sport of running and it’s a joy for me to give back and inspire the next generation of runners. I hope everyone will join us for a great weekend of fun in Endurance Town USA!,” enthused Jordan Hasay. The newest Race SLO Ambassador has recently released a PACE Network strength training video. Visit www.portlandpacenetwork.com for more information and to see the full video and get access to Jordan’s exercises. Hasay grew up in nearby Arroyo Grande and went to Mission Prep High School in San Luis Obispo, where the 2009 class valedictorian developed into one of the most decorated high school runners in U.S. history. Her major prep accomplishments include being a 8-time California state champion, two-time Foot Locker Cross Country national champion (2005 & 2008), former U.S. Junior 1500m record holder and 2008 U.S. Olympic Trials qualifier. At the University of Oregon, Hasay was a 15-time All-American and 2-time NCAA champion. Post-college, she joined the Nike Oregon Project under the direction of coach Alberto Salazar. The 25-year-old, who lives and trains in Portland, Oregon, has won two USA Road Championship titles (10 mile in 2016 and 15K in 2017) plus earned top 10 placements at USA Championships, Olympic Trials and major events such as the Boston Marathon and Peachtree 10K. Hasay will run the 40th Bank of America Chicago Marathon on Sunday, October 8, 2017. The Race SLO Ambassador team roster also includes top U.S. distance runners Ben & Stephanie Bruce, ultra running star Krissy Moehl and mountain bike ace Rebecca Rusch. Established in 2008 to bring world class sporting events to the beautiful California Central Coast, the Race SLO event line-up includes the upcoming SLO Ultra trail races & NEW Mountain Bike Race at Wild Cherry Canyon (Fall 2017) and VIP Ride & Wine with Bob Roll (Fall 2017) as well as the inaugural Warrior Trail Run Adventure (Spring 2018) and 7th SLO Marathon + Half and 5K (Spring 2018) .